Author Of The Week: Chat with Astrid Scholte (Four Dead Queens), Plus Giveaway! 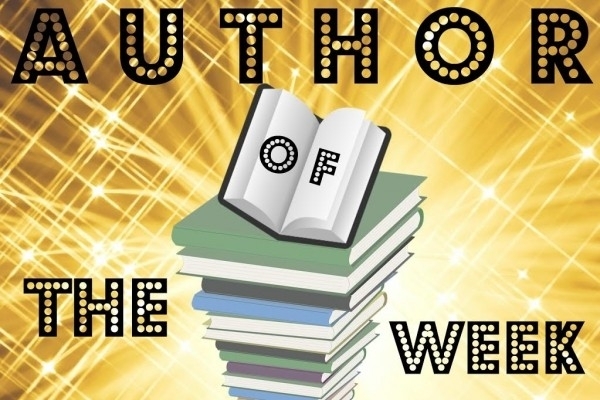 Introducing Astrid Scholte, YABC's Author of the Week!! This might sound a little cliché, but I had a dream where I was sitting in a horse-drawn carriage when a futuristic silver car flew past. When I woke, I wondered what kind of world would exist with such contrasting technologies and how this would impact the people who lived there. I also wanted to write a YA fantasy with a predominately female cast who are supportive of each other, rather than tearing each other down. Mackiel! He’s so fun to write and you never know what game he’s playing. Keralie is a close second. The novel. 4DQ had a few working titles, and none of them were good! One of the working titles was The Murder Disk. My PitchWars mentor suggested Four Dead Queens, which is from a line in the novel. Thank you, Mara! There are a few scenes in the book where I’ve heard people have gasped in shock. Those are the ones I’m most proud of as I love surprising readers and taking the book in a direction you’re not expecting. While it’s not a new concept, the advice that a first draft is allowed to be bad is something I frequently remind myself of. My first drafts can often be like streams of consciousness as I write whatever comes into my head. From there, I piece the plot together and establish the world and backstories for the characters. The crowns are to die for! Pun intended. I love the crisp realism and how they jump off the page with exquisite detail. I also love the color teal, so the cover is perfect! Leigh Bardugo’s King of Scars, like many, many readers! Legendary by Stephanie Garber was magical, enthralling, swoon-worthy and a rare sequel which improves upon the original. I’m currently editing my second book, which is another YA sci fi/fantasy standalone, out early next year with Penguin Teen. I can’t wait to share this book with readers! It’s an action-packed novel that I hope reads like a movie. It also explores the impact of grief in a world very different from our own. That’s all I can say, for now! It was difficult writing the death scenes of the queens, as they were characters I’d grown to love. One death scene in particular (no spoilers!) was very hard to write as I was saying goodbye to that character, and I really wanted a different outcome for her. Queen Marguerite’s voice took a while to get right. I wasn’t sure what was driving her until a few drafts into the novel. Definitely revising. I’m a pantser so I don't know what’s happening, or even who my characters are, when I write the first draft. It’s in the revising that the story starts to come together, the characters’ voices become clear, and the world is fleshed out. Dedication. I’ve always wanted to be a published author and it took me 6 years of querying, over three manuscripts, until I got an agent. I read every blog and website on agencies and consumed everything I could about the publishing industry. I also attended every YA book launch, workshop and festival I could. The YA industry is now not only my occupation, but my life’s passion. The RSCPA Australia. I love animals and the work they do is so important. Dreaming about sitting in a horse-drawn carriage when a futuristic silver car flies past does sound cliche! So very cliche! But it must make for a good book! I've heard so many good things about this book! The summary is interesting, but it's honestly the cover that draws me in. What a regal cover! This sounds like a unique twist on the typical fantasy with murder mystery thrown in! Beautiful cover & definitely want to read this! ???? The cover is very dramatic. The synopsis makes me want to read more. Sounds like an exciting read. I love the cover of this book and I’ve been looking forward to reading it!! I've been hearing so many great thing about this book! The cover is dramatic and foreboding. I can't wait to read it! The cover is powerful and magical. The story sounds like an original mystery. I like the idea of the four queendoms. I'm really excited for this book, I had read a little excerpt for it and it sounded really good ? ?